If there was a part of me living regretfully as an adult, it would be the lack of time to update a space I best - this. That's right, I've accidentally left this space for a whopping 3 weeks and not on purpose but simply because I couldn't find the time to sit and think. Life has gone on, and time never waited for me. But here I am, once again. 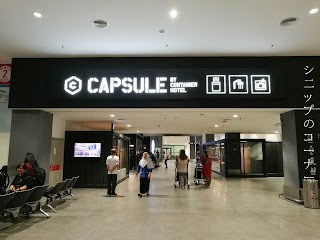 Located at the lower level of KLIA2 where you can find buses and such, Capsule by Container Hotel is exactly as its name suggests - they're capsules to for wandering folks to rest in and is suitable for those who arrives in the wee hours of the morning, or has flights at ungodly hours. Like myself. There are 2 capsules for you to choose from - the single or the double to house well... 1 or 2 people. 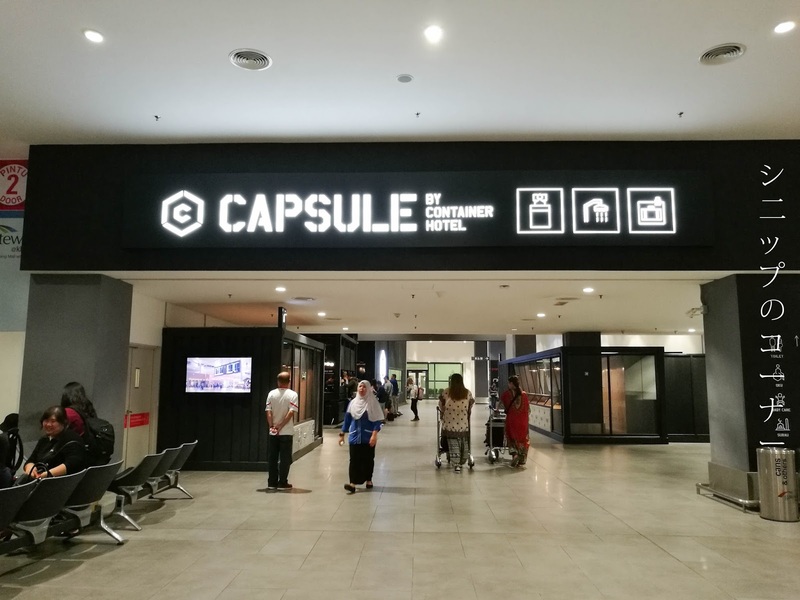 For lone travelers, you can opt to have a capsule in a female only pod and likewise to the male or you can be a little adventurous and wander into the mixed pod to meet a friend or two. The rental starts from RM 90 for a 6 hour stay, RM 100 for a 9 hour stay, and RM 110 for 12 hours. In other words, the longer you stay the better the value of course. The wake up call function unfortunately did not work for me because the phone somehow didn't work the way the directions said it would, but I had my phone alarm buzz me awake on time anyway. The bedding supplies are supposedly by Orthorest, and I'll say it was comfortable enough for several hours of sleep. I still thought it was a little thin for long hours of stay so if you're thinking of catching an 8-hour sleep, that may be a problem. 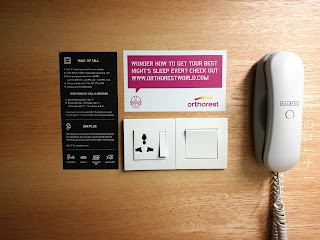 A single plug point is available for you to keep your phone charged, and the light button is conveniently placed by your bedside so you can just slap it to turn off the lights then call it a night. 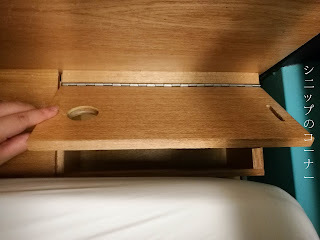 The bunk also features this hidden hatch by the side of your bed, and I believe that it is for you to keep your valuables in when you're asleep. I did keep my glasses and phone in there while I drifted off to lala-land, but bear in mind there isn't a lock for it so if you're out to the toilet, you may want to bring your things along. 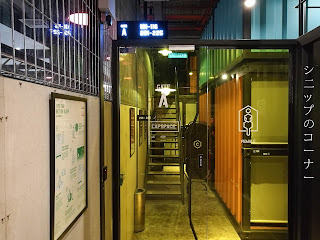 Toilets are well segregated at Capsule by Container Hotel, which is a good feature for lone female travelers especially. 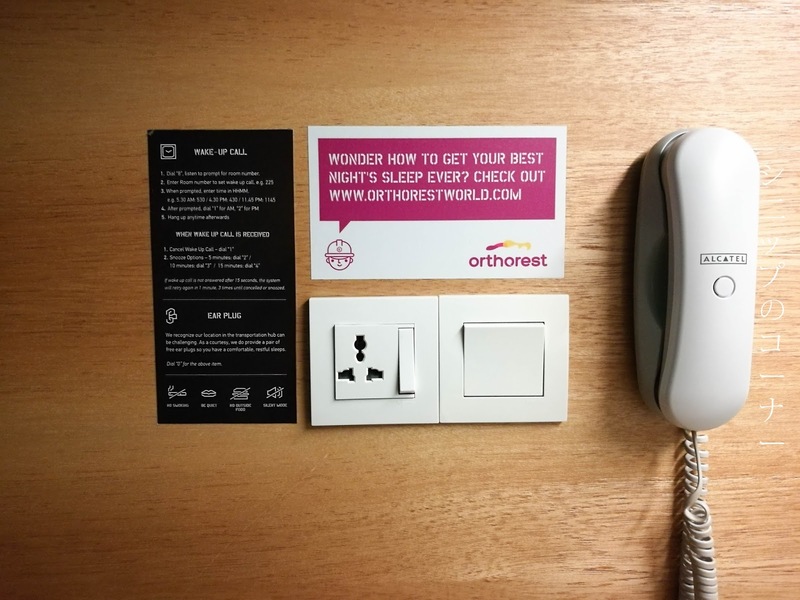 When you check in, you will be given the basics such as a bath towel and a set of toothbrush with toothpaste for you to freshen up during your stay. 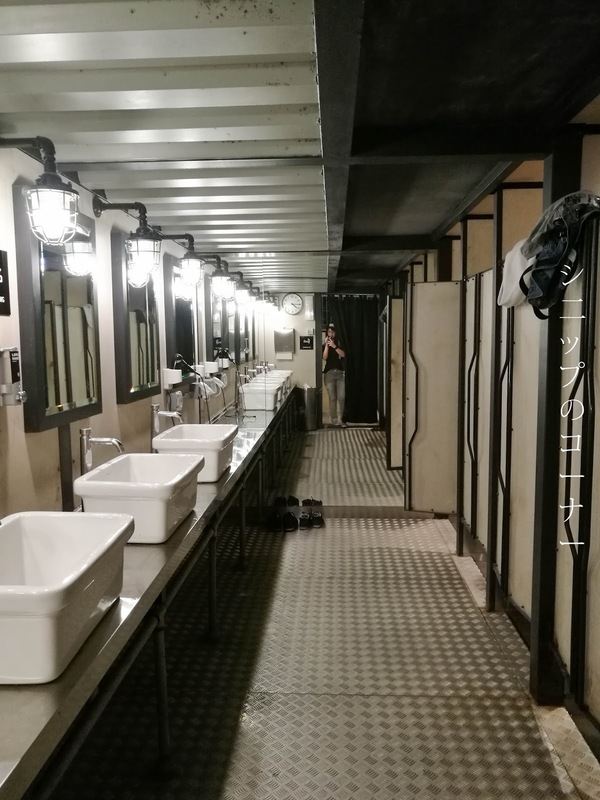 Shampoo and bath gel are also provided in the toilets though when I was there, they had no water so I didn't grab my shower as I intended. It was 2.30AM when I left the hotel after all. 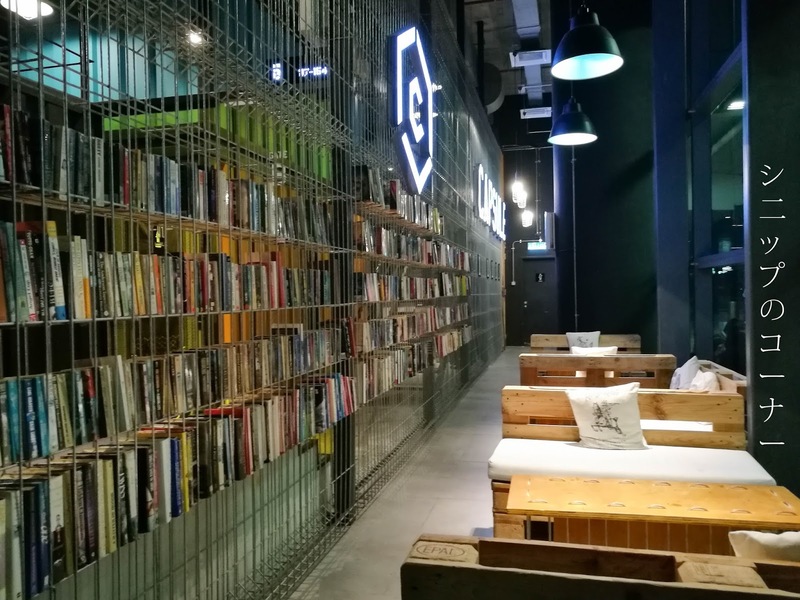 For those who find it difficult to sleep but just want to chill in the vicinity of the hotel instead of being around the airport, Capsule by Container Hotel also features this chill out area with books that you can freely grab to read. It's a free zone to walk around, and perhaps you may even make a friend or two here. No such luck for me at midnight when I checked in. After visiting however, I can see why because it doesn't feel as daunting as the airport at this chill out area. I'd say it's the better and more comfortable choice if you have the chance. 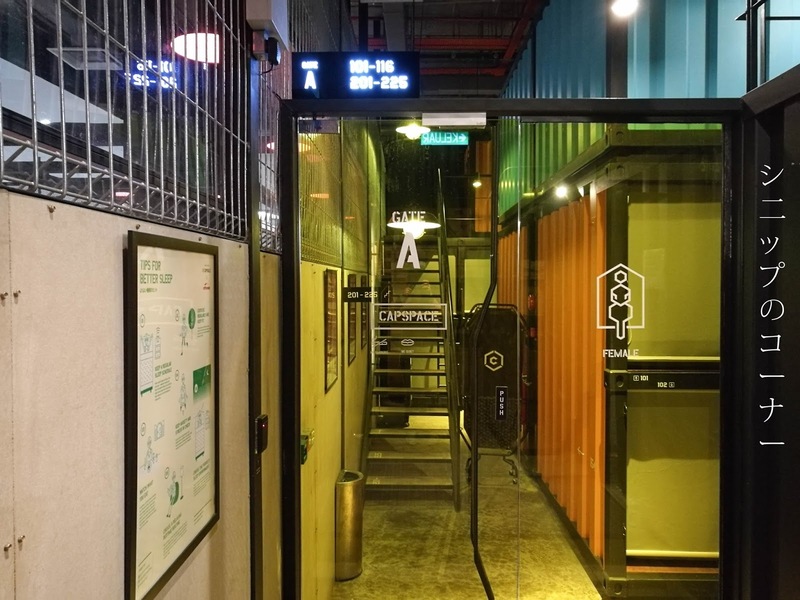 Areas around Capsule by Container Hotel are fairly well cordoned according to gender, and you'd need the right key card to be allowed access. I think this is a feature they thought of pretty well to keep the female travelers feeling safe, and I appreciate the minor peace of mind it brought me. The capsules however are not sound proof, and it may get noisy if you're sleeping near the doors like myself. My sleep was fairly disrupted by the constant beeping of the key card to the lock, and the clanking and banging of the glass doors didn't help too much either. 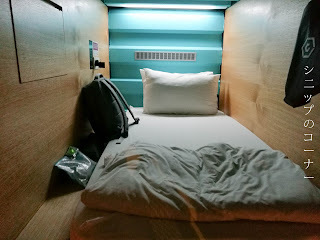 As an overall, I'd say Capsule by Container Hotel is perhaps a place you'd come by if you really need somewhere to bunk before a crazy flight at stupid hours but it's definitely not where you can expect very good rest. It's somewhere for you to prop your feet up, though sleep may be depending if you're a light sleeper or not. It will beat sleeping on the floor of KLIA2 though. For larger suitcases, they also have locker areas to keep it safe and can be rented separately if you just need somewhere to stash those while you walk around the airport. But perhaps until the next ungodly hour flight, I doubt I'll be seeing this hotel anytime soon.